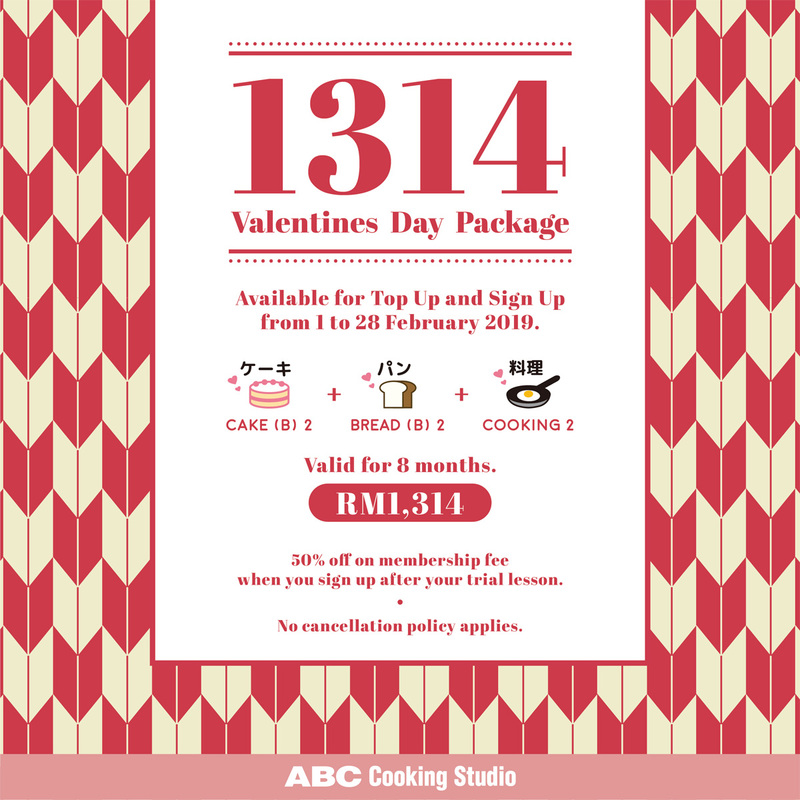 Get yourself and your loved ones the 1314 Valentines Day Package only in this coming one! Our 1314 Valentines Day Package is specially tailored for you to show off your love in the best way! Top up or sign up now to enjoy the Cake Basics, Bread Basics & Cooking lessons which valids for up to 8 months.